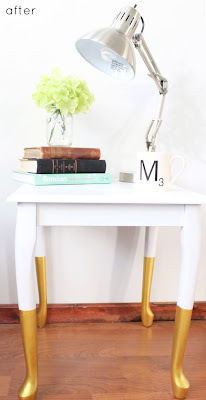 My favorite DIY ever! This DIY gold leaf tray didn't cost me anything and it only took about 45 minutes to do. 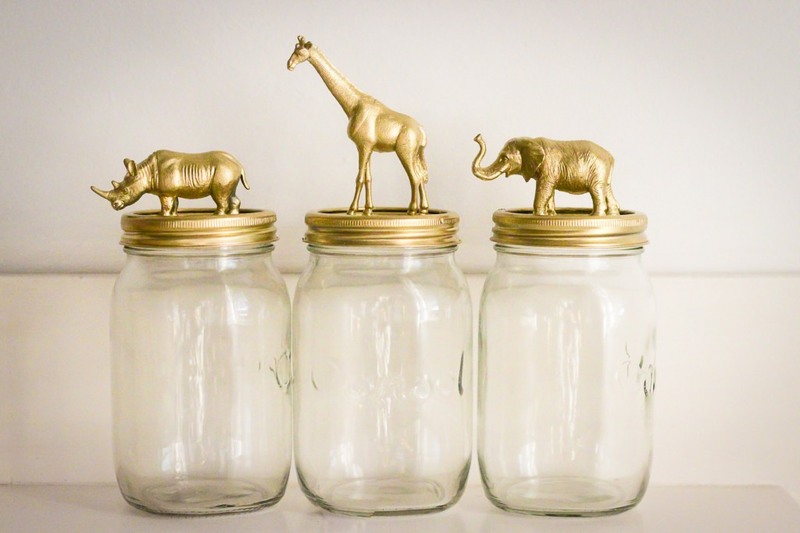 This project from A Beautiful Mess combines two of my favorite things: recycling and gold leaf. These honey bear jars are just the regular ones from the grocery store but after they have been gold leafed they look like they cost $20 each! This would be so adorable to have sitting out at a party. 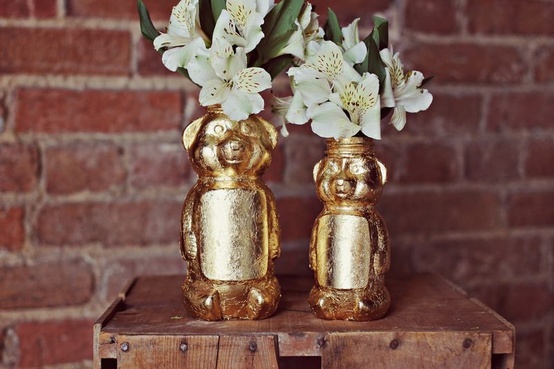 Next time you run out of honey don't throw away the bear! 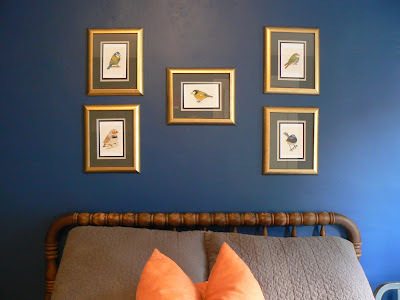 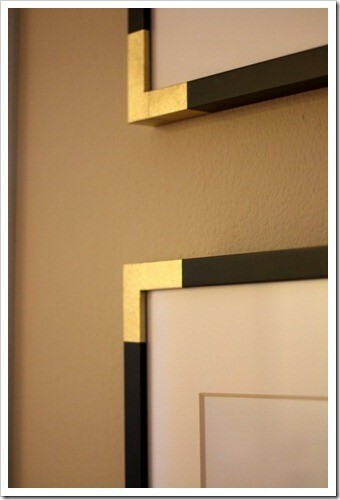 This faux gold corner frame treatment is awesome. 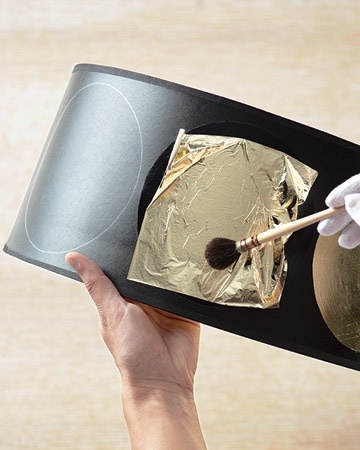 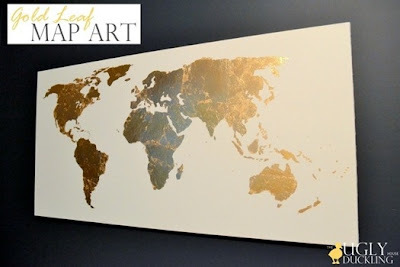 If you click through to A Thoughtful Place's tutorial you'll see that she spray painted masking tape gold to get the look but you could also just use the gold leaf pen to do the same thing. There is no tutorial for this image... it is just a link to someone's Instagram feed but the concept is simple. 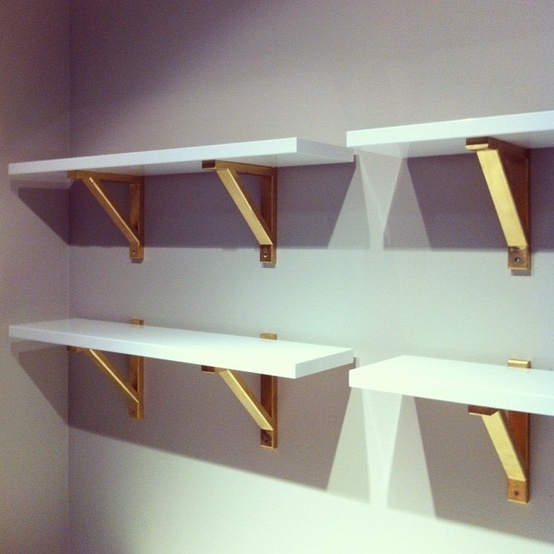 They spray painted the brackets from IKEA shelves gold. They look so classy and expensive now.